If you want to feel a spiritual rejuvenation, enjoy the peaceful traditional swimming pool place, enjoy the nature and taste the traditional Lombok food, it is highly recommended to visit Suranadi temple in Lombok Indonesia. In this area, you will be able to find three different attractions that serve three different experiences. Not only Bali, Lombok is also having so many temples. The Lombok temples were built in the 18th century and each of them is having different characteristic. 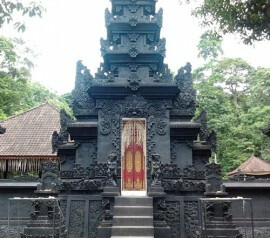 If you visit Suranadi temple, you will find the special character of the temple, which are the five sacred fountains. The fountains come from Mount Rinjani. The fountains make the temple called as Panca Thirta Temple or temple with five fountains. 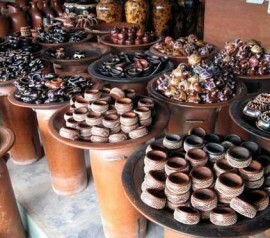 These five sacred fountains are believed to have the ability to heal some diseases or what the traditional tribe, Sasak tribe calls as ngentas male. Hindu people believe that after they have their pray and use the water from these five fountains, they will get a brand new beginning in their life or Suranadi Lombok. Based on the folktale, four from those five fountains appeared after Hindu missionary from India, Dang Hyang Nirlata stuck his stick on the ground. 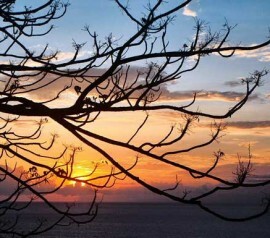 He spread Hindu from Java Indonesia, Bali to Lombok on foot, with his stick. 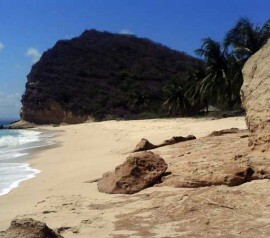 When he reached Lombok, he entered Suranadi forest and he and his people took a rest for four times. Every time he stopped, he stuck his stick to the ground and a fountain came from the ground. The first water is called as the sacred water of cleaner or pembersih, the second water is pengentas, the third water is pelukatan and the fourth water is called as petirta sacred water. To commemorate his merit, Hindu people in West Lombok holds a ceremony when the sasih kapat full moon comes, about October and November. Entering this area, you will find that Surandi temple is divided into three parts: Utama Madala, Madya Mandala and Nista Mandala. Utama Mandala is the most scared part in this temple because Hindu people make this area as the place to pray. Not all people can access Utama Mandala. The other two parts are used for other activities than praying. One of the unique things about Nista Mandala and Madya Mandala is that the two temples are separated by Jalan Wisata Suranadi. After having rejuvenation on the temple, it is recommended to visit Suradi Bathing Park that lies on the south part of the temple. The water in the main pool comes from the natural fountain. If you want to feel the freshness of water from the top, then Pancuran Sembilan which water flows form the small river on the west part of the park can be a good choice. You can also play tennis on a field that is located on the higher level than the field. 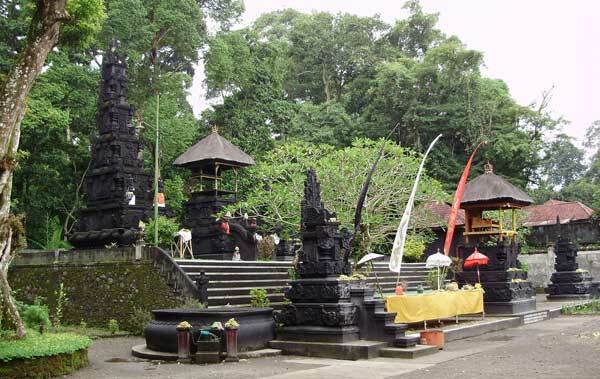 About 100 meters from Suranadi temple, you can enjoy the nature on Suranadi Natural Park. There, you can enjoy a fresh air because there is conservation forestry in the area. Not only is the forest filled with various plants, rare vegetations and huge trees, but also deer, monkeys and various types of bird. In this attraction place, you can find a green field about 240 meters from the main entrance. On the area, you can build a tent or do an outbound activity. Exploring the forest, you will find a small dam with clear water. You can also explore the forest with small canoes. 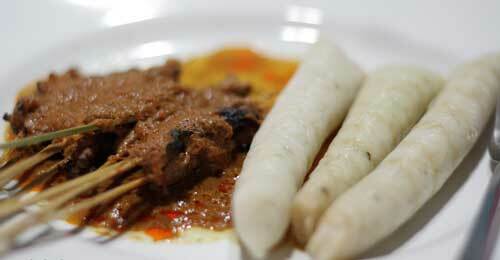 Before you leave Suranadi Lombok Island area, make sure to try the delicious Suranadi’s bulayak sate. There are some sate sellers in one of the parking lot areas. 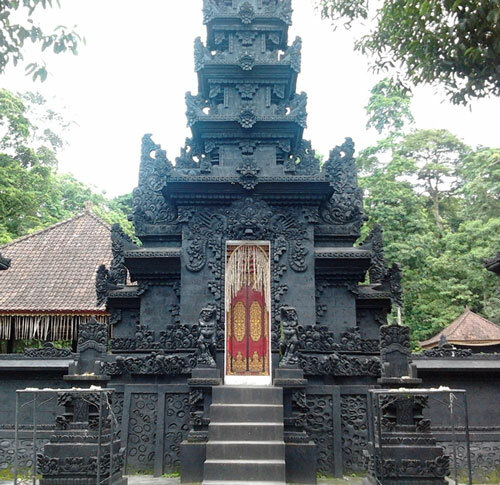 Suranadi temple and Suranadi area is located about 17.5km from Mataram. 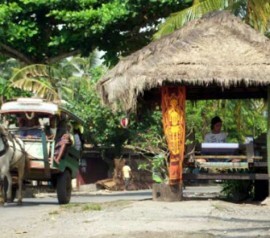 With a private car or motorcycle, the area can be reached in only 45 minutes. You can choose Mataram-Bertais-Narmada-Suranadi route. Also mentioned: Suranadi forest, water rituals hindu lombok, suranadi tourism place, ritual hindu di lombok ntb, suranadi temple lombok. Make sure to wear scarf on the waist when you enter the temple area. The scarf can be borrowed for free. Menstruated Women are not allowed to enter the temple. When visiting Suranadi Temple, make sure to visit Naramada temple and Lingsar Temple. When you are in the natural park, don’t forget to apply a mosquito repellent.